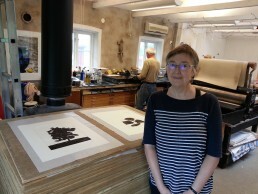 During the northern summer of 2015 (June 9 – July I0), Carol Archer was artist-in-residence at ARNA/Art and Nature in Harlösa, a rural village located in the southern Swedish county of Skåne around 35 minutes drive from Lund. 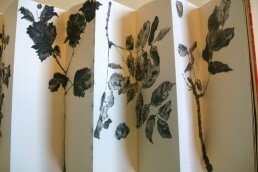 The focus of the residency is the relationship between art and nature. 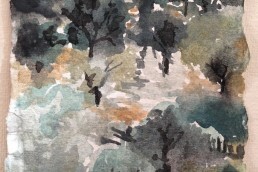 Harlösa is in the heart of an area of stunning natural beauty and rich biodiversity, with abundant bird life, hence its nickname –the Avian Kingdom. Indeed, the ARNA artist residency is part of the larger project of raising awareness of the ecological and cultural importance of this area and achieving UNESCO recognition. 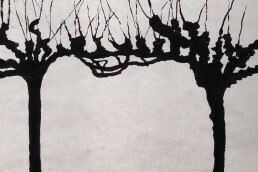 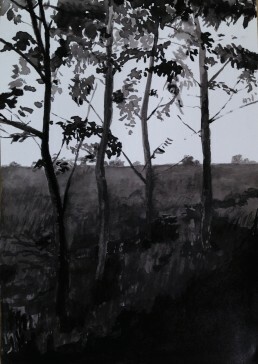 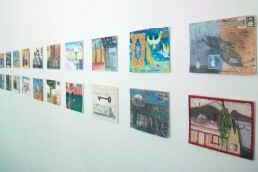 The drawings and mixed media pictures Carol Archer made during her residency in the Avian Kingdom focus on the trees: the variousness of their shapes, the ways they catch and block the summer light, and the patterns they form when they appear in parks, alongside walking paths, roads, streams and fields, and in the forest. 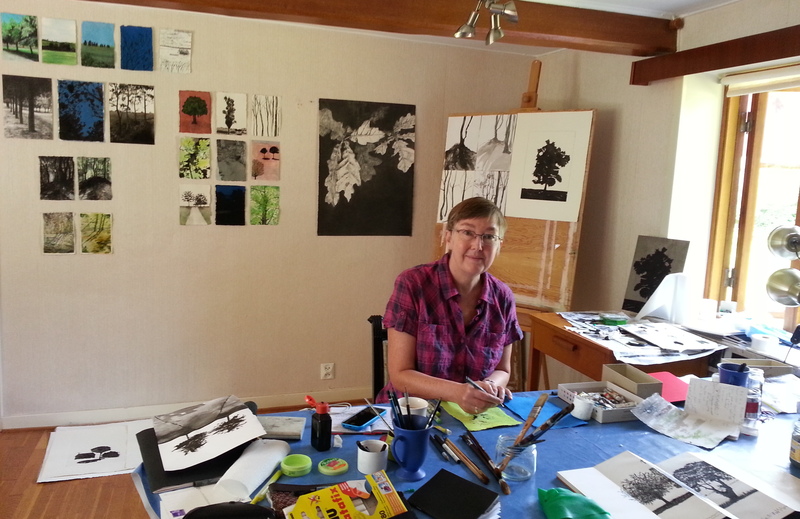 Engaging with the verdant natural environment and thriving creative community of Harlösa and the Avian Kingdom has been a powerful catalyst for a new phase in Carol’s art practice. 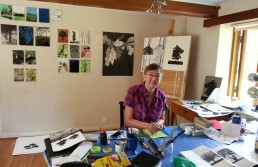 Carol Archer in her studio at ARNA, Harlosa, Sweden, 2015. Tree study, 2015, ink on paper, 30 x 21 cm.